The 170 hours contest is a contest that runs for 170 hours (that is 1 week plus 2 hours). It gives a prize to the 30 best ranking players, the first prize of course the highest and the 30st the lowest. You can see the prize amounts on the contest itself. 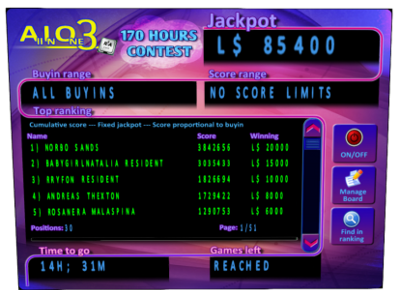 It’s a cumulative contest, so it totals all your scores during the 170 hours and that is your score on the contest. You should take into consideration the playing of others. On a contest that lasts a week, a lot can happen. Any good strategy also takes into consideration all other contests and rewards. At the 170 hours contests, the value of M = 10,000.